Long before Hurricane Maria struck Dominica that game-changing knockout punch, manufacturers were effectually already stewing in a burning vat of fat. Limited raw materials, limited capital, and limited capacity. In manufacturing, size matters. After Maria, the challenges that manufacturers are encountering have been blown larger, like balloons filled with air. Now they are about to burst. 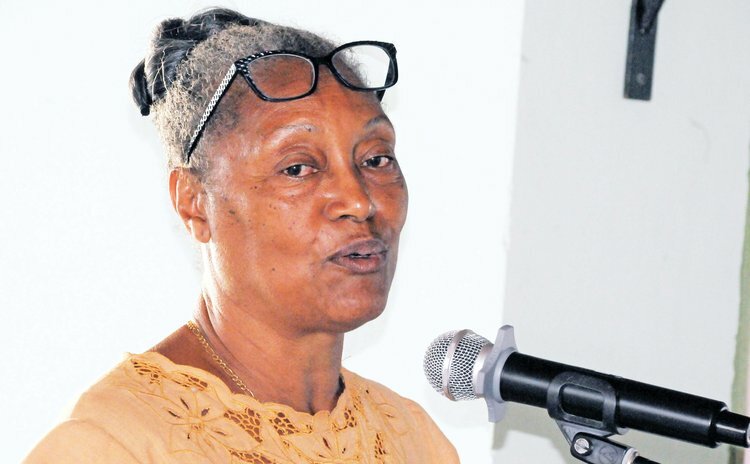 Dr. Gail Royer, the Chief Executive Officer of Caribbean Agro Producers Coop, the manufacturers of Nature Fresh herbs, told an annual general meeting of the Dominica Manufacturers Association (DMA) in March that after Maria the industry must make attempts at building back better, beginning with agricultural diversification, since ninety percent of manufacturing in Dominica is agro-based. "When we are talking about diversification of agriculture, herbs offer one of the best diversifications that we have," she said. "Agriculture has to do risk management in that they need to look at the planting of different products that will come back over certain periods of time to ensure that our manufacturing will have inputs to continue." Offering an indication of the long periods that manufacturers will have to wait for local crops, Dr. Royer said large quantities of coconuts may be available in five to seven years and avocadoes in six years. Dr. Royer said Nature Fresh took a beating from Hurricane Maria; it lost its roof but when she tells people about that they downplay the impact of the loss of a roof. "When you lose your roof, the hurricane is in your house," she said. "It means you lose everything that was under that roof." She said the loss to Nature Fresh was about half-million to ¾ million dollars. Royer said after Maria foreign businesses were more eager to stand with Nature Fresh than locals. For example, a business woman from Martinique offered to pre-pay for a shipment of manufactured products. "Here was a (foreign) distributor reaching out to us and for the most part we have not had anyone (here) reach out to us," she said. A local financial institution, Royer said, told her that "it was business as usual" when it came to offering better lending terms to businesses. "Sorry, mam," she said she responded, "This is business most unusual." Dr. Royer said exports after Maria will take a hit but generally exporting is not the difficult part of manufacturing. "Exporting is not difficult; actually exporting is easy," she said. "Collecting your money is difficult. Everybody wants your products; (but) can you get paid, can you get paid on time." In the area of finance, Dr. Royer said, there resides the stiffest challenge for manufacturers. "We are not asking for a handout; we are asking for a hand-up and that is entirely different," she said. As manufacturers look ahead they need to influence policy towards incorporating manufacturing into the education system and to factor in the need for better trained human resources. "We have equipment, we have very complex equipment," she said. "We have to invest in training; not superficial training, very in-depth training". Royer added: "We are in the age now where we need complex solutions to complex problems- and we need it now."